Don’t miss the ultimate sightseeing experience! Take to the skies to enjoy unparalleled views of Singapore in all its glory. This pass includes both Mount Faber Line and Sentosa Line. Cross through a skyscraper and go across the harbor to reach Mount Faber. 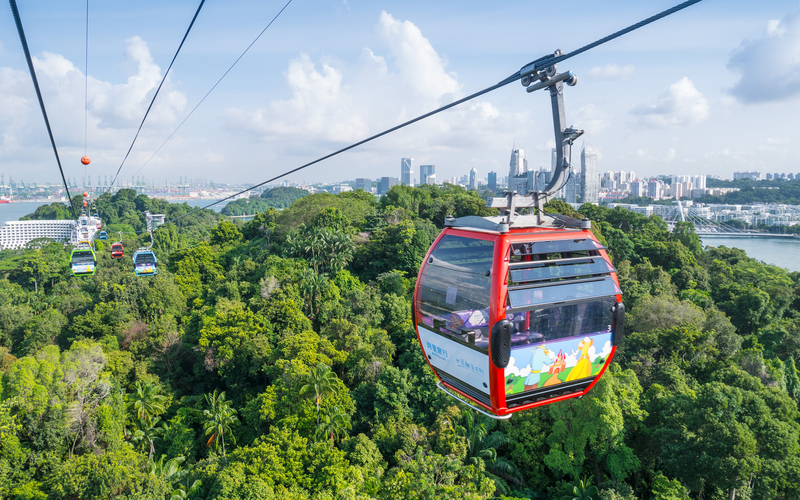 On the Sentosa Line, fly over the jungle, sand, and sea and see the many attractions from a unique vantage point. You also get to indulge in an exotic lunch which focus' on regional delicacies.From rich broths to dried shrimp, your stomach will enter a world of new flavors and taste as you dig into your delicious meal. Round trip tickets for the Singapore Cable Car. 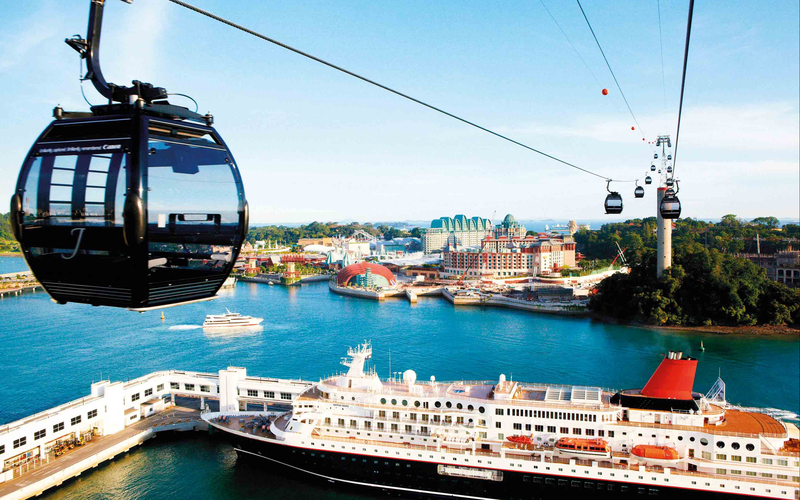 Enjoy panoramic views of Singapore from a bird’s eye perspective. 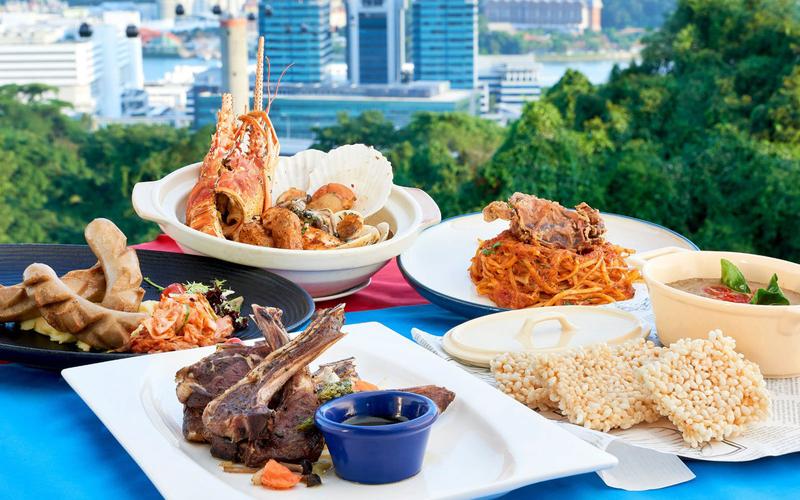 Indulge in some of the best delicacies of Singapore. The experience is open from 8:45 AM to 10 PM. The last boarding will be at 9:30 PM. Faber Peak Singapore is about 7 minutes from Harbourfront Metro station. Take Exit B while coming Harbourfront station and cross the link bridge to get to the Singapore Cable car at Harbourfront tower two, where you can redeem your tickets. Cable Car Station at Mount Faber. 109 Mount Faber Road. HarbourFront Station at 3 HarbourFront Place, HarbourFront Tower 2. Lunch will be served at Faber Park Singapore. You will receive an email with your ticket. No need to print. You can show the mobile ticket at the ticketing counter. Please carry a valid Photo ID for identification.